Skype. 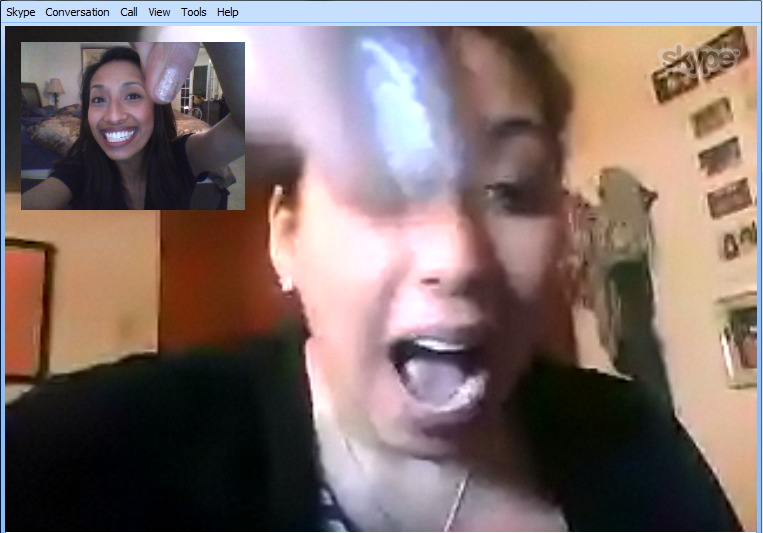 I love Skype. Have I mentioned that lately? I really need to be Skype's first spokesperson. 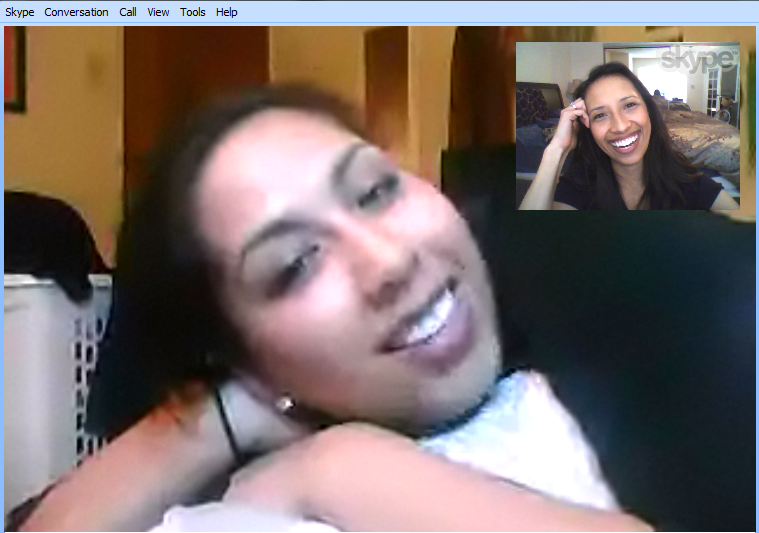 But until that happens, I just get to love on my friends from 1,500 miles away. Showing off our accent nail polish fingers. Guest Posts. I was asked by two wonderful bloggers to write guest posts, and I'm so excited! I'm flattered that they trust me to write something for their readers, and hey -- maybe I'll make some new blog friends and get closer to that 100 Reader Giveaway I promised one month ago, eh? I already planned the giveaway, and I can't wait for it! 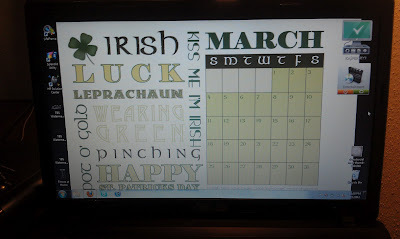 Free Desktop Calendar by Kristen of Confessions of a Graphic Design Student. I love it, and it's so festive! Head on over to CGDS and pick your free desktop calendar! Being a CASA is one of my proudest accomplishments. I mention it on my "Meet Lindsay" page, but I will soon write a post about my experience as a CASA for a child in the foster care system. It's challenging but infinitely rewarding. If any of your are curious or interested, I am always happy to talk about my experience! Vegetarian Reuben + Cadbury Creme Egg. Mr. TBS surprised me Wednesday night with an amazing dinner! 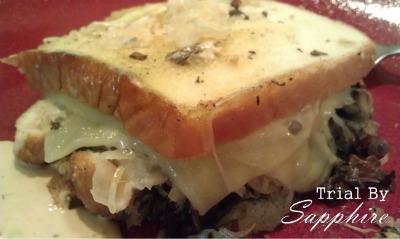 In my pre-vegetarian days, I had a deep, passionate addiction to the turkey Reuben sandwiches that he made! DEEElicious! He found a vegetarian recipe, and let me tell you -- it's borderline amazing! He also found the Cadbury Creme Egg that I had unsuccessfully been hunting in recent days. Happy Friday, and enjoy your weekend, sweet Sapphire readers! You are wonderful, and don't you forget it! I'm not sure I could live abroad without skype. And I'm sort of shocked that so many people still don't truly understand it. You should totally approach them about being a spokesperson! And we need to start a help group for people who don't get sleep because of their kittens. NOT KIDDING. Going to read your About page to see more about CASA! your number 5 looks delicious! YUM! 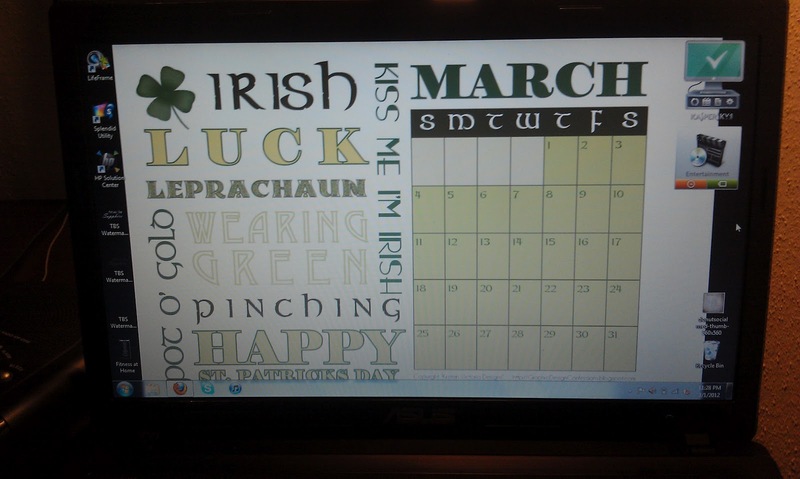 Totally getting the calendar! Thanks for the heads up! Happy Friday girlfriend! Congrats on the guest post! Happy Friday! I had a cream egg yesterday and it made my week too!! Yum! 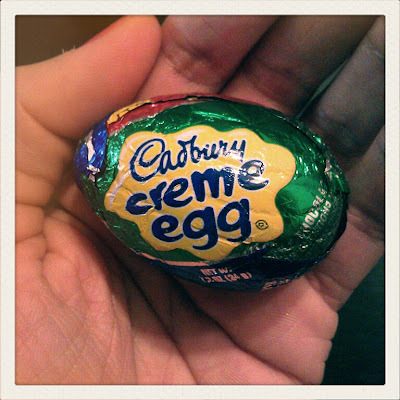 Cadbury Creme Eggs are my FAVORITE! Loved this post! I hear you when It comes to lack of sleep because of a kitty!! Ours turns one this month and loves to meow periodically though out the night to let us know he's still here. We usually wake up in the morning with a couple of toys in bed with us.